Let us give you a Quick Quote to find your next Vacation Villa! We are currently searching villas that match your criteria - please give us a moment! Great! We have found several properties that match your search criteria. Please complete the short form below so we can email you the details. LIST A VILLA IT'S FREE! "Where you rent your villa is as important as the villa you rent"
Prices shown INCLUDE all applicable taxes, cleaning fee and damage waiver (if app) Banking charges may apply, NO booking fee is charged. To search by Villa ID clear any/all existing search criteria. As our title line says we truly believe where you book your villa is as important as the villa you book. Many people will travel to the Central Florida area only once so we are determined to ensure that they make the very best of their vacation. We Want That Villa is different in that it provides a truly personal experience for Guests in that every enquiry is dealt with by a real person and not an automated system. This makes sure that the Guests know exactly what they are booking. Guests get to see the actual accommodation they will stay in and see reviews from guests who have actually stayed there. We answer all questions in the way the Guest wants be it by email, telephone, text or Skype. We know Florida intimately having been vacationing and being villa owners there for over 25 years. Florida is waiting for you and we are ready to help you make the best of your vacation there. 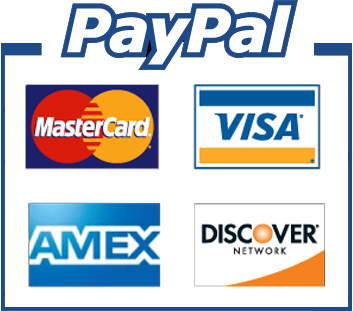 We use PayPal for all our payments as it is one of the most secure payment portals on the market. Utilising PayPal enables us to offer flexible payment terms for our guests, therefore they can make instalments towards their vacation instead of one lump sum. With over 25 years’ experience in Florida villa rentals we have helped hundreds of vacationers to find their perfect Florida rental, providing the living space for the holiday of a lifetime whilst keeping to a variety of budgets and holiday types! Andrew and Michelle were fantastic throughout the booking process, they even gave us great advice on where to get the best discounts during our stay! We Want That Villa went above and beyond what they needed to do, the whole family loved the villa and the community we were on. Sign up to our newsletter its Free! © Copyright is reserved to We Want That Villa Limited.